Keely walked into her first day of diving practice. She was a typical beach girl who swam like a dolphin and spent her summers with her sandy toes on Australia’s Gold Coast. Now, she found herself in Wyoming, over a thousand miles from the nearest sandy beach. A new school, a new team, and a new country, she was focused and determined…. Which would explain why she missed Brendan’s gaze. It wasn’t until later, at a party full of UW swimmers and divers, that she noticed him. It must have been his smile, his easy laugh, or the way his warmth brings people in creating easy friendships…but she was hooked. On a secluded island in the Bahamas, Brendan and Keely snorkeled. 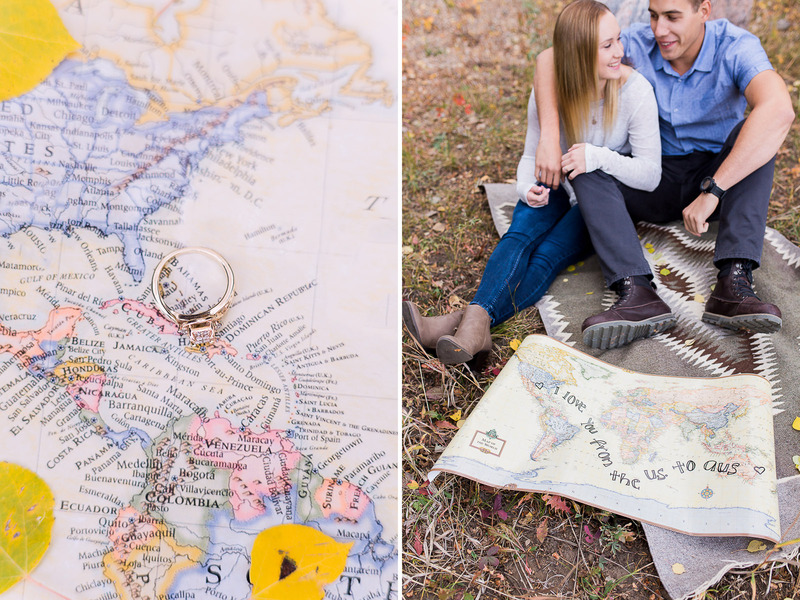 The brochure said this was a place known for buried treasure so when Brendan excitedly waved her over, pointing at the ground, Keely got excited. When she turned over a shell she found a rose gold engagement ring and turned to see Brendan on one knee. Obviously, she said yes. They snorkeled back holding hands and the ocean rejoiced. From Houston to Brisbane and all the shores in between. 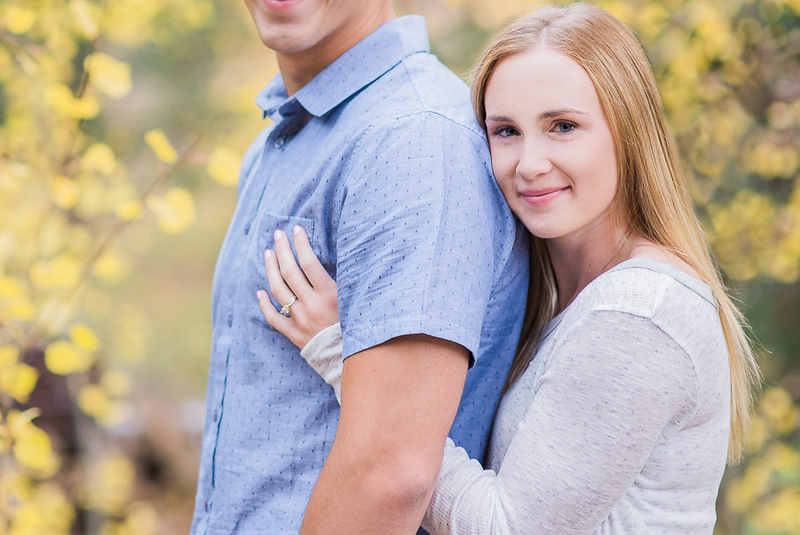 They plan to wed in Laramie, the place they met and fell in love, next spring. 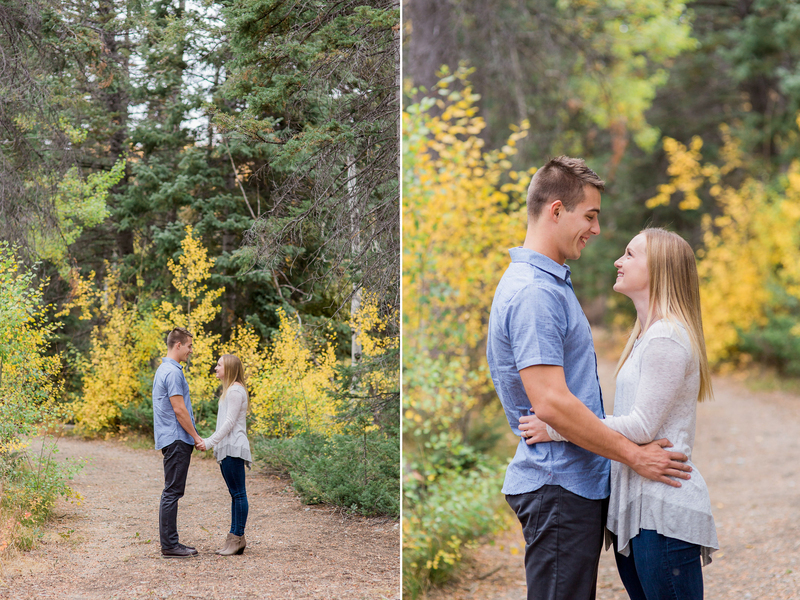 We started their engagement session at the base of Medicine Bow peak, and this beautiful aspen grove. 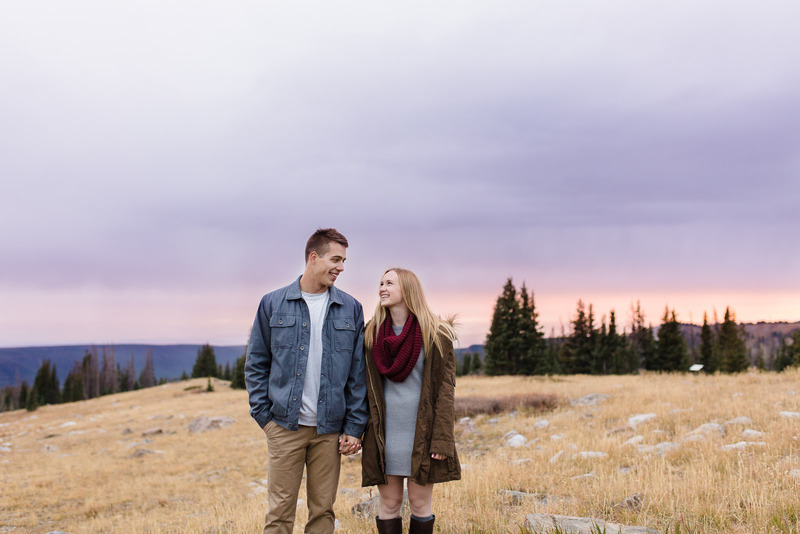 Keely is completely gorgeous…and as genuine and fun as she is beautiful. 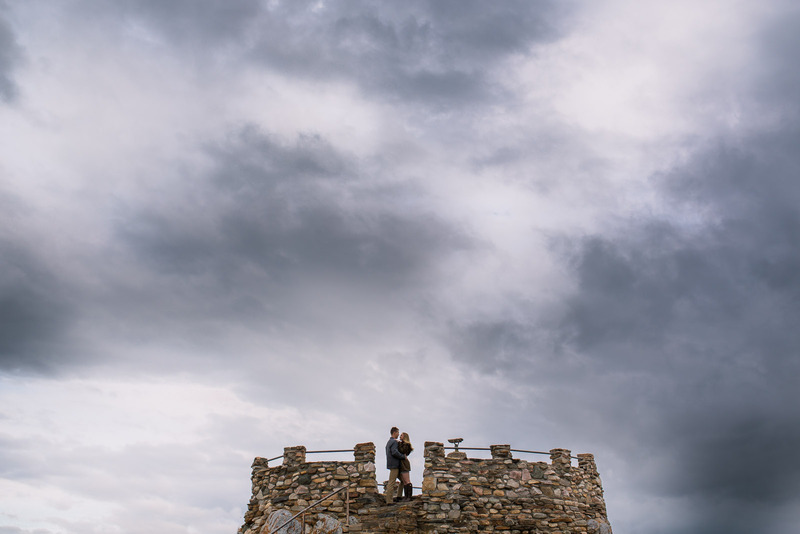 Next we moved up to Medicine Bow Peak… and we found a castle as the storm clouds moved in. For just a moment the skies turned pastels and everything was silent as mist slowly fell around us. 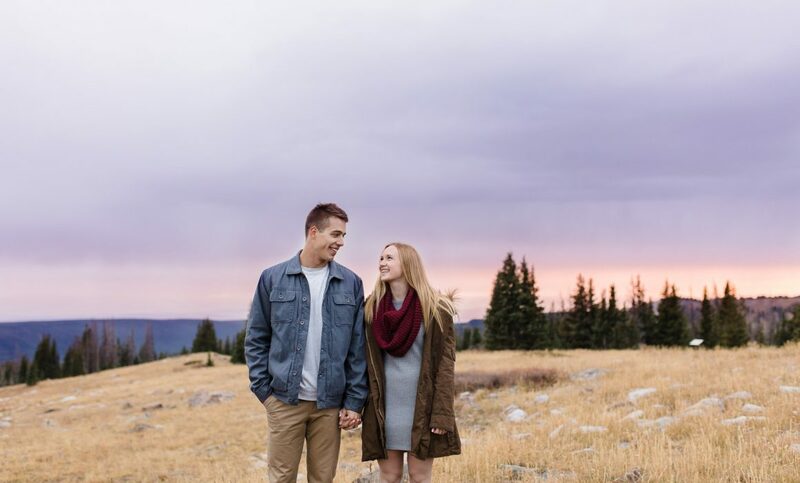 Keely & Brendan, Thank you for inviting me to document your love at the start of a new chapter in your lives… I cannot wait for next spring!